Your financial support is greatly needed. This organization relies on public donations for funding. 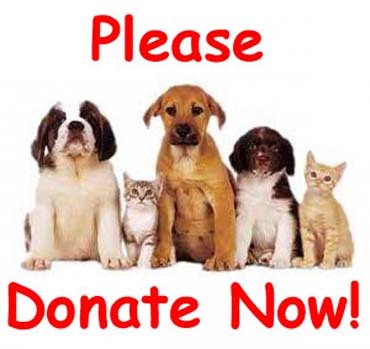 We do not receive any major grants or government funding and most of our donations are $500 or less. We generally have at least 15 vet appointments each week, which means our vet bills are thousands of dollars every week. It costs $25,000 to $30,000 each month, or over $300,000 each year, for us to continue operations. 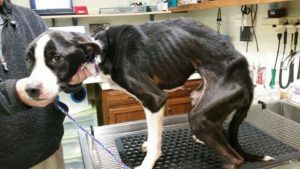 Without the support of community donations, we could not continue our mission of rescuing homeless dogs. We are a 501(c)(3) organization so all donations are tax-deductible!! If your donation is in honor of or in memory of a person, occasion or pet, please provide details below. If you would like an acknowledgement card sent to honoree, please include the address of where the card is to be sent. You can make a one-time donation, and we'll charge your card for this amount today. Or, you can commit to a recurring monthly donation. Enter the amount you'd like to donate each month, and we'll charge your card on this date each month for that amount. You can call us to cancel at any time! Please Select a Donation Amount or Input Your Own. Thank You!